Check out this amazing Taiwanese drummer playing on the streets in Taiwan! Happy Valentine's Day! 情人节快乐 ! [qíng rén jié kuài lè]. This is the story of the cowherd and the weaving girl. The couple only sees each other once a year, which on the 7th day of the 7th month according to the Chinese calender. Their love story has moved many people to tears. This month is Chinese Ghost Festival (Zhong Yuan Jie). Check out this video and article about this festival. It is even celebrated in London! Super Bus invented in China to help people travel around! Have a look at this video which shows a new kind of bus that drives over all the other traffic. Do you think it is safe? Do you think these kind of vehicles will be popular worldwide in the future? 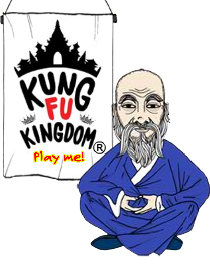 Kung Fu fighting - check this out! See traditional Kung Fu fighting - not for the faint-hearted. Perhaps we will practise this in class! In China, they build a lot of skyscrapers especially in big cities. This video shows how super-organised and fast they build one! Check out which numbers are lucky and unlucky in China! The Great Wall of China - True or False? It is Dragon Boat Festival again soon! This is one of the biggest Chinese traditional festivals. Dragon boat racing is naturally the tradition! Do you know the races don't just take place in China, but all over the world? Check out this one taking place in the UK.